First, many thanks to everyone for the compassionate outpouring of love and concern – and chicken soup! – over my recent illness, which kept me from celebrating Mass last Sunday. We are all especially grateful for Fr. Ernie Hepner and Fr. Renaurd West for so willingly jumping in to take Masses so that there was no interruption to our Mass schedule. As I write this column, I am feeling a thousand times better. Thank you! This Wednesday, February 14, is Ash Wednesday. While it is not a Holy Day, it is nevertheless an extremely important day in the life of every Catholic, who seeks to be a more faithful disciple of Jesus Christ. Masses are at 7am in Old St. Mary's; 8:30AM, 12noon, & 5:30PM in the church; and 7PM (in Spanish) in Old St. Mary's. As I mentioned last week, we are blessed to have a French boys choir, La Maîtrise des Chartreux, singing at the 8:30AM and 12:00PM Masses. They are planning to offer a free concert Thursday, February 15, at 6:30PM in the church. This concert is free and open to all in the Aiken community and beyond. I encourage you again this year to sign up for your Best Lent Ever from Dynamic Catholic: dynamiccatholic.com/bestlentever. It is a FREE email program that will guide you on an incredible 40-day journey to become the-best-version-of-yourself, making this a truly life-changing Lent. Since Jesus Himself recommends fasting to His disciples, we continue the practice. One of the corporate acts of worship we do as a whole Church is the discipline of abstaining from meat and fasting and on certain days during Lent. From the age of 14 until we die, we are obliged to abstain from meat on Ash Wednesday, Good Friday, and all Fridays of Lent. From the age of 18 until we reach 60 years old, Catholics also fast on Ash Wednesday and Good Friday. "When fasting, a person is permitted to eat one full meal, as well as two smaller meals that together are not equal to a full meal" (USCCB website). "Remember you are dust, and unto dust you shall return." Recalling that our time on earth is limited can help us be about the business of discipleship now. There should always be a certain sense of urgency. 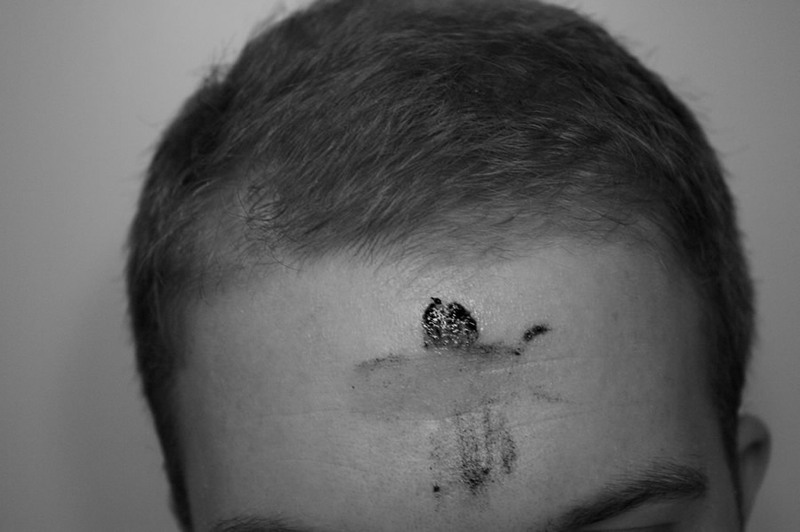 We mark ourselves with ashes as a "new beginning" at the onset of Lent, allowing the life of Jesus Christ to make us whole and new again, and to fill us with renewed purpose for living His life.